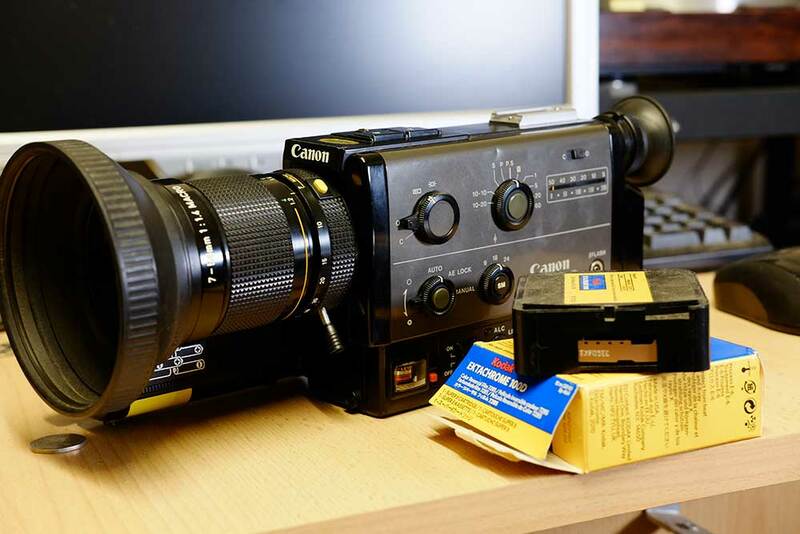 Picture above of my Canon 814 XL-S super 8 movie camera. One of the best Super 8mm cameras ever produced. Truth be know I have had these Kodak cine films laying around the studio for quite some time. I suppose its a bit like a car mechanic who never does any work on his own car. The 3 films that I need to get developed comprise of 2 Kodak 100d films and one 64T. The T standing for Tungsten corrected and the D on the 100D film meaning daylight corrected film. Unfortunately Kodak no longer produce these 2 film types. Positive film stock is similar to slide film producing a positive print on the film. 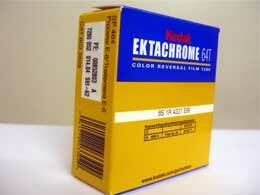 Kodak now only produce negative super 8 film stock. These Include the following. KODAK VISION3 50D Color Negative Film 7203 / 50 ft Super 8 Cartridge, Catalog # 1738053. KODAK VISION3 500T Color Negative Film 7219 / 50 ft Super 8 Cartridge, Catalog # 8955346. Super 8 film developing for my 3 positive films is an E6 process. which is the same as 35mm slide film processing. Once my films have been developed. I shall be scanning them at Full HD resolution using our custom built 8mm cine film scanners to Apple Pro Res 4:2:2. This can also be transferred to MPEG 4 or AVI for viewing or editing on a Windows PC computer. I look forward to showing the video results on this Blog and my youtube and Vimeo channel in the near future. Please remember there is nothing like film.